The Washington Capitals announced Saturday morning that they have fired head coach Adam Oates and will not retain general manager George McPhee. After missing the NHL playoffs for the first since 2007, changes were expected. Since McPhee was hired in June of 1997, the Capitals have compiled a record of 613-488-78-108. 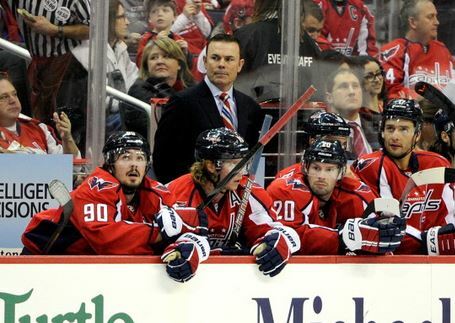 Oates took over the Caps prior to a strike-shortened 2012-2013 season that saw Alex Ovechkin earn NHL MVP after leading the Caps to their sixth straight playoff appearance. However, Washington yet again fell in their third seven-game first round series in that six-year span. The Capitals finished the 2013-2014 season with a record of 38-30-14 and no playoff appearance. The team will now be searching for its fourth head coach since 2011 and it’s sixth general manager in franchise history.